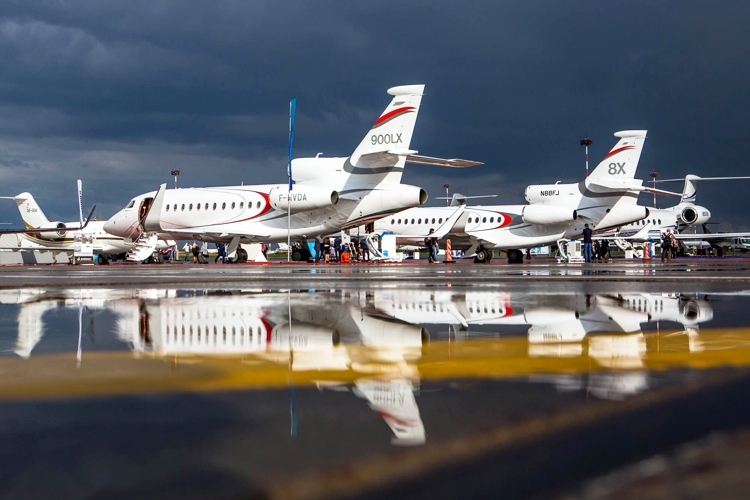 RUBAE (Russian Business Aviation Exhibition) is the only business aviation exhibition in Russia and CIS countries which will be held from September 12 till September 14 2018 in the center of business aviation Vnukovo-3. The international business aviation exhibition Jet Expo was rebranded and now takes place under the new name RUBAE with the content supplemented by a business program and conferences, which allows it to attract a larger audience, as well as make it more recognizable on the international market along with other world industry trade shows. Under the roof of Vnukovo-3 hangar, which again for three days becomes an exhibition pavilion, you are welcome to visit all business aviation leaders booths such as Cessna Aircraft, Bell Helicopter, Embraer, Bombardier Aerospace, Dassault Aviation, Gulfstream Aerospace Corporation, Beechcraft Corporation and many others, and to get acquainted directly with the submitted aircraft at the static display. In addition to aircraft and helicopters manufacturers, RUBAE will be attended by brokers, operators, airlines and providers of various services, from on-board catering restaurants to the studio ready to provide a unique aircraft interior. Walking distance from RUBAE static display to the pavilion makes the event extremely effective in terms of business matters as the event attracts not only the various industry representatives, but also aircraft customers.